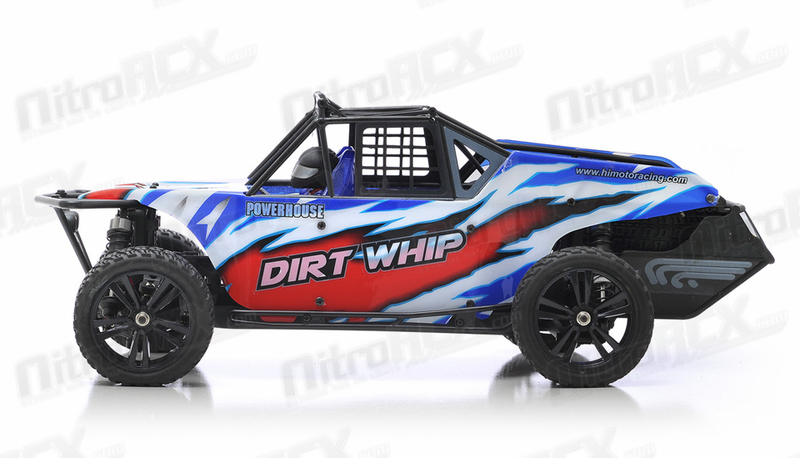 The hot new 1/10 Scale Iron Track Dirt Whip Truck ready to run truck has loads of awesome features. 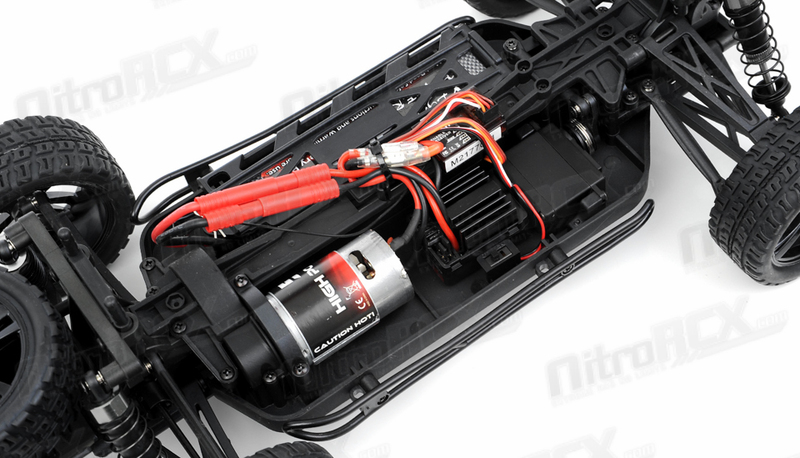 The 2 in 1 electronic speed control and receiver unit pumps out 20amp continuous and 320amps of maximum burst current to the 550 brushed motor delivering ground pounding acceleration. 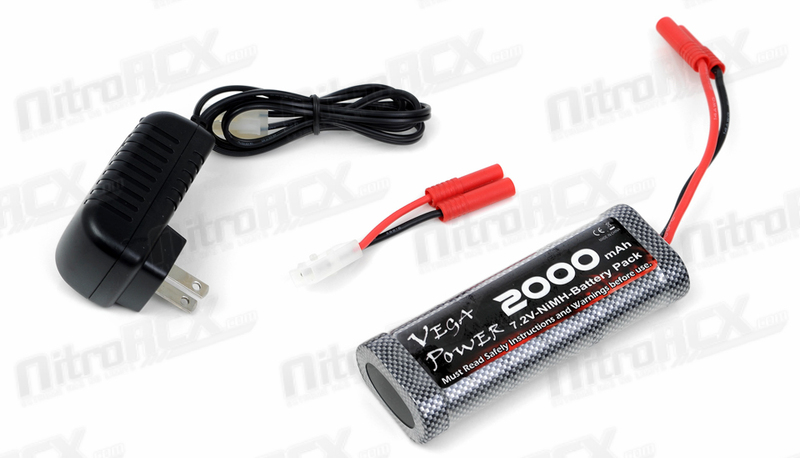 All of this power induced by the included 7.2v Ni-Mh battery with charger included. 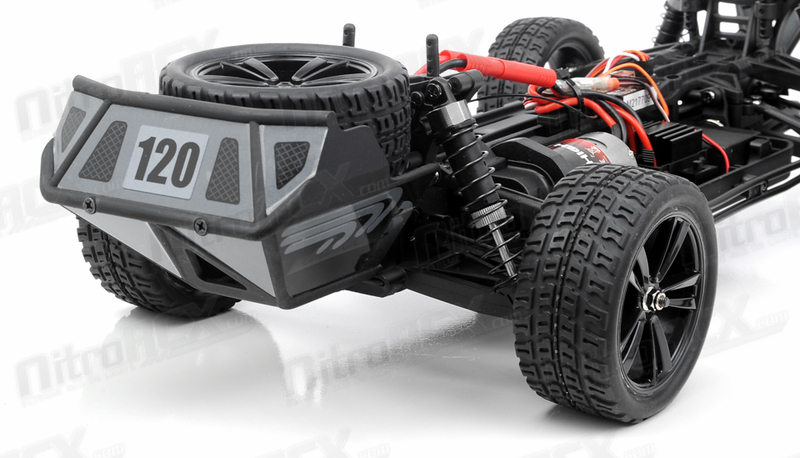 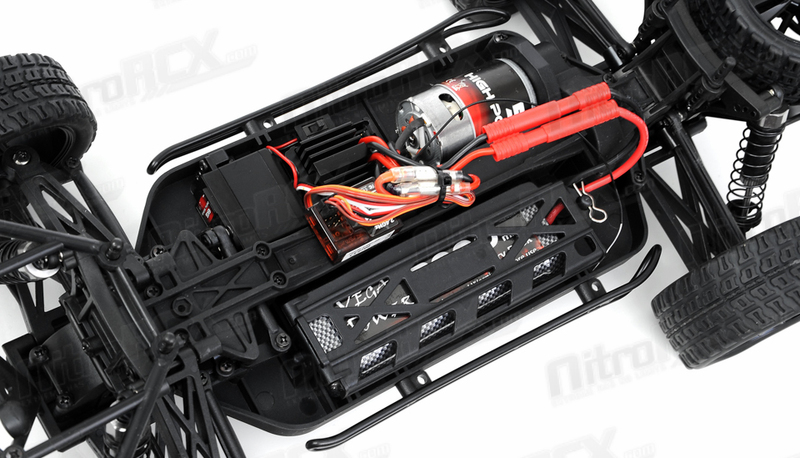 Make no doubt that this ready to run radio control truggy is hobby grade. 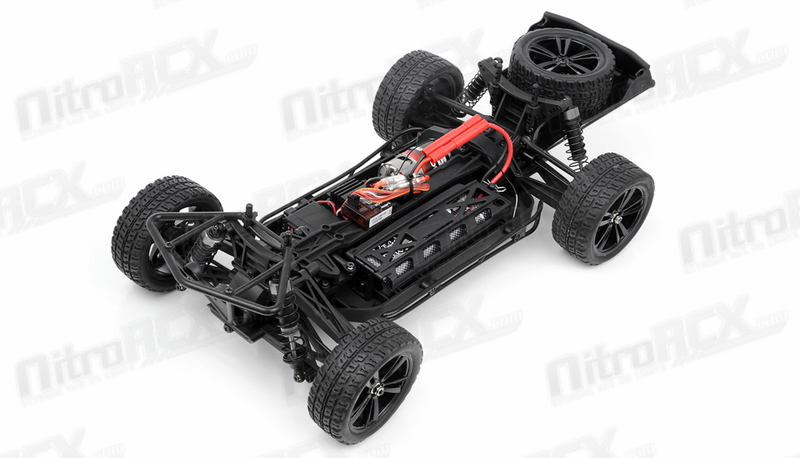 The 2.4ghz radio allows precise proportional control of this powerful truck. 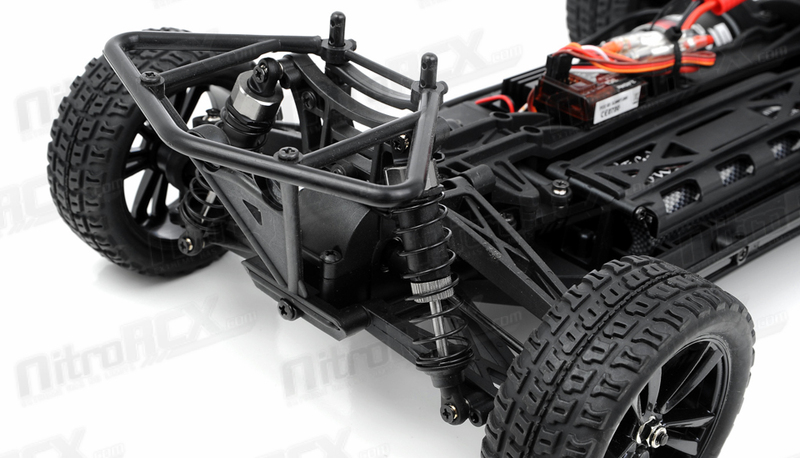 The steering servo delivers more than 6 pounds of torque to steer this truck in the right direction. 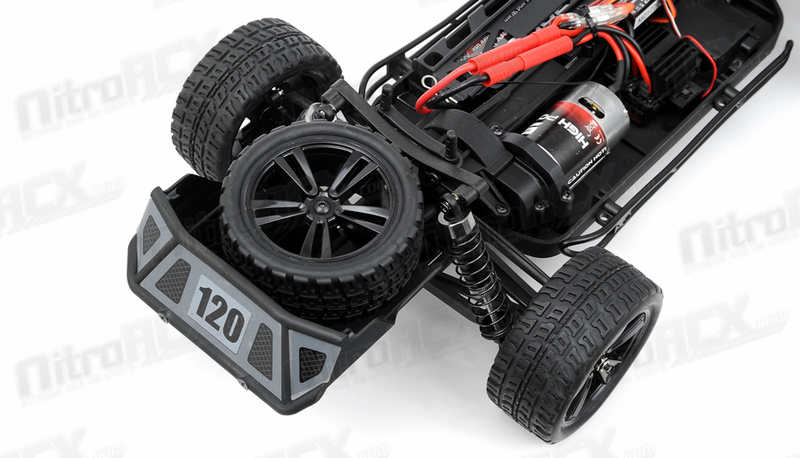 Transferring all this instant electric power to the knobby tires is an efficient shaft driven 4 wheel drive system. 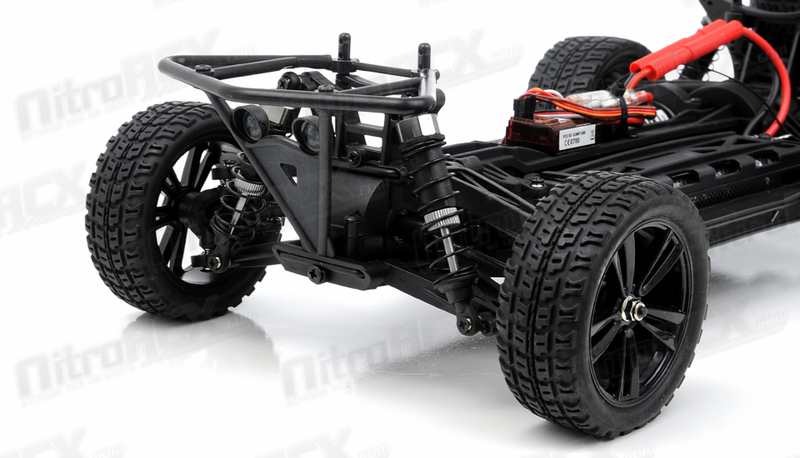 The geared front and rear differentials driven by an aluminum center drive shaft ensure maximum traction and reliability in the roughest terrain. 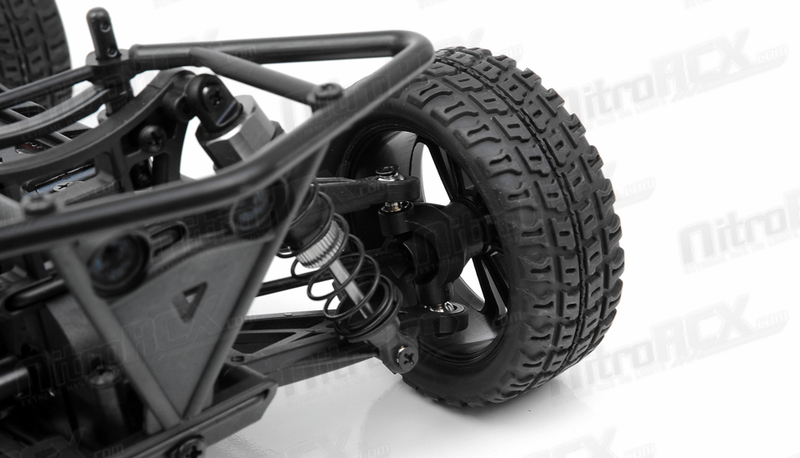 The oil filled shocks allow the suspension to soak up all the bumps and rough stuff you throw at it. 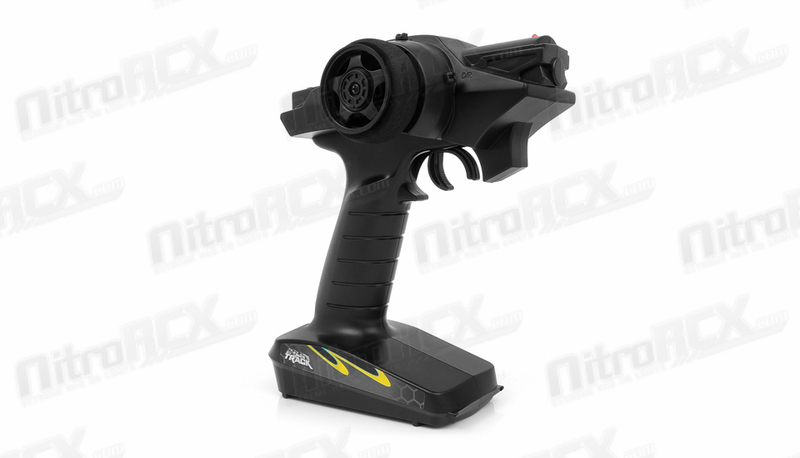 A pre-cut and factory painted body permits you to get into instant action once you open the box and get everything charged. 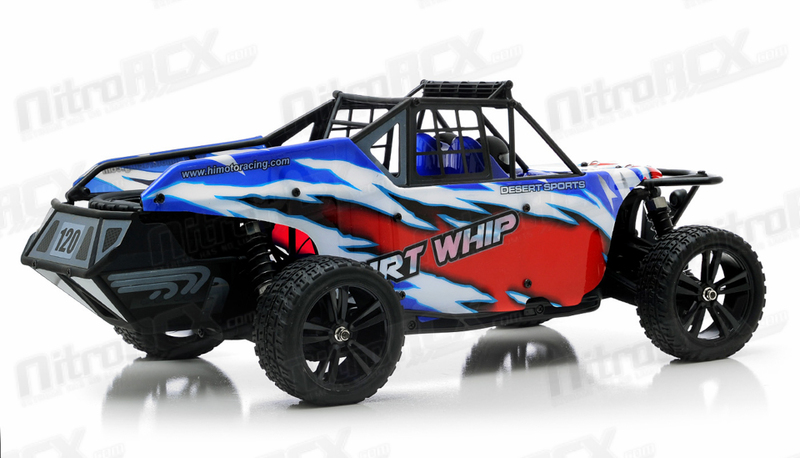 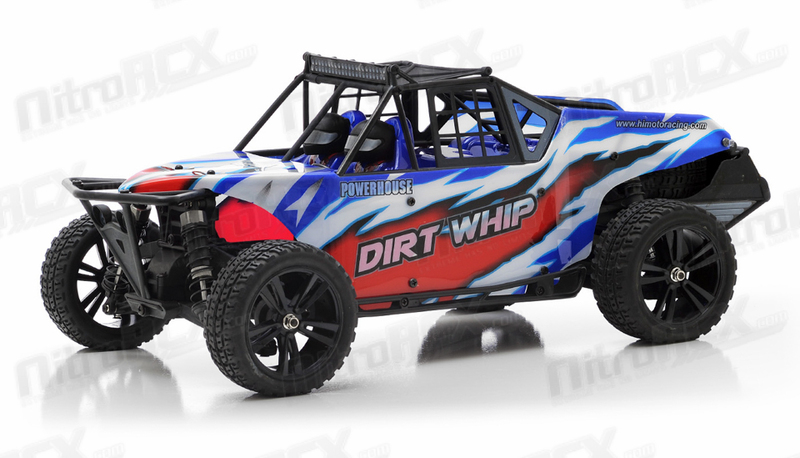 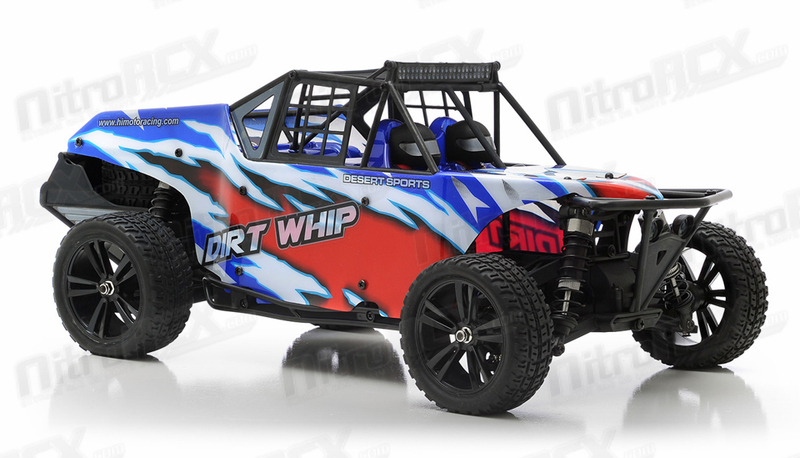 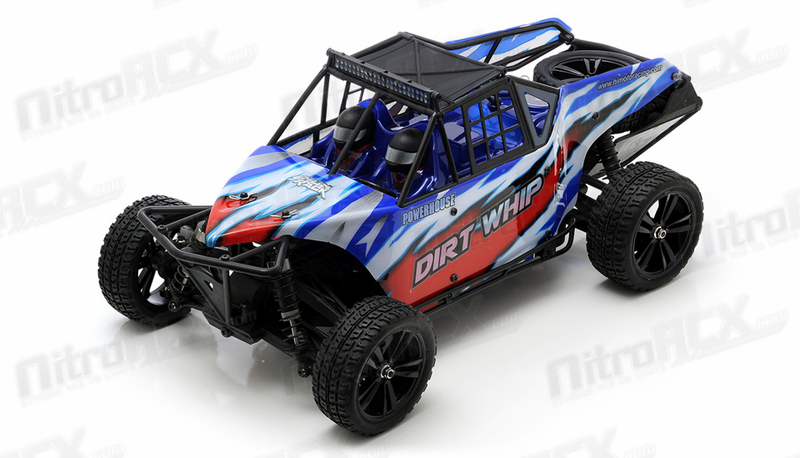 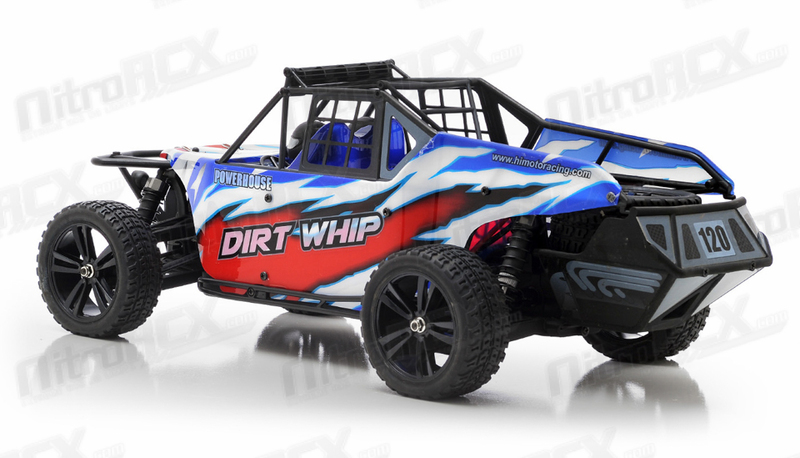 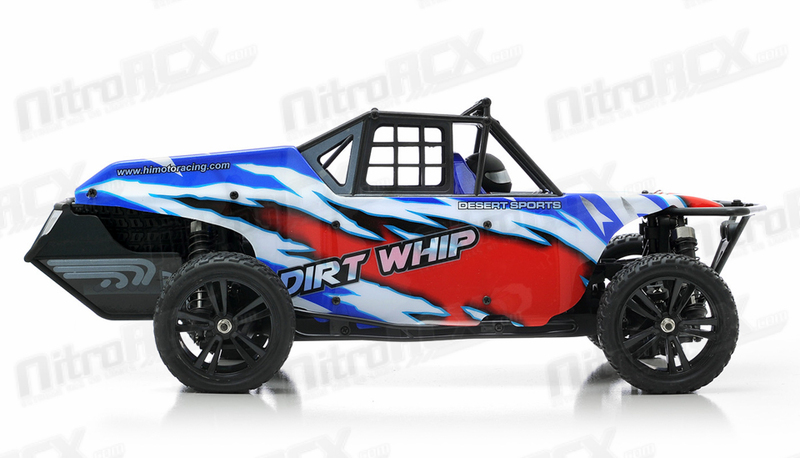 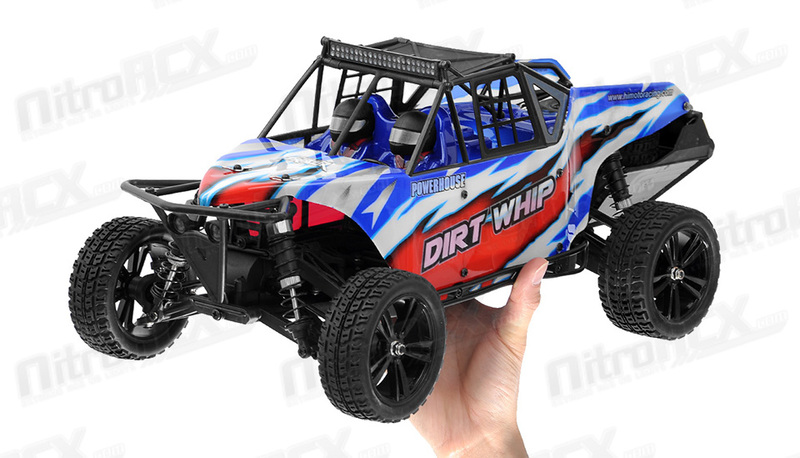 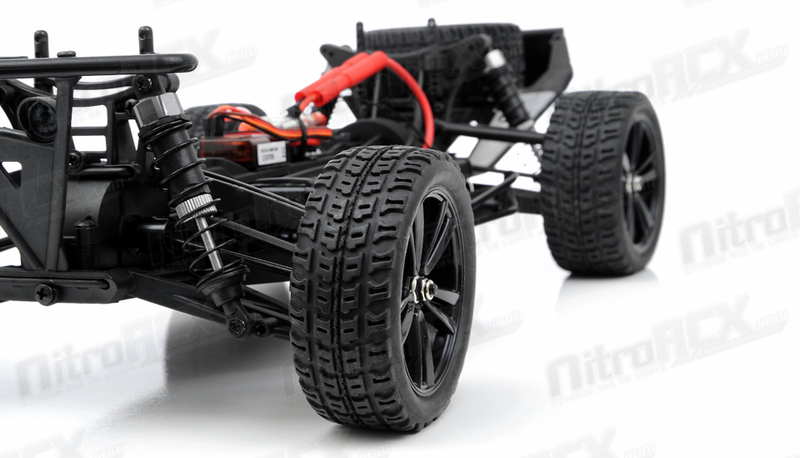 The Dirt Whip delivers smooth handling and precise response for you to enjoy the thrill of radio control truck action. 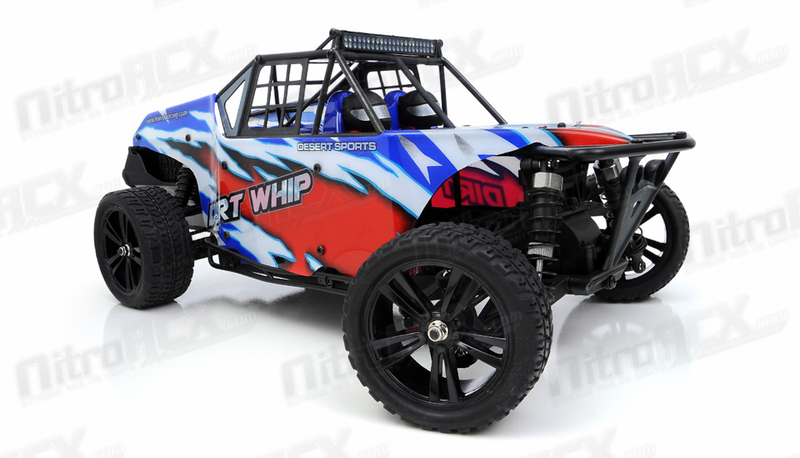 With the Dirt Whip you are guaranteed to have hours of fun and excitement!